Shipping World Wide from our US, EU and NZ warehouses. 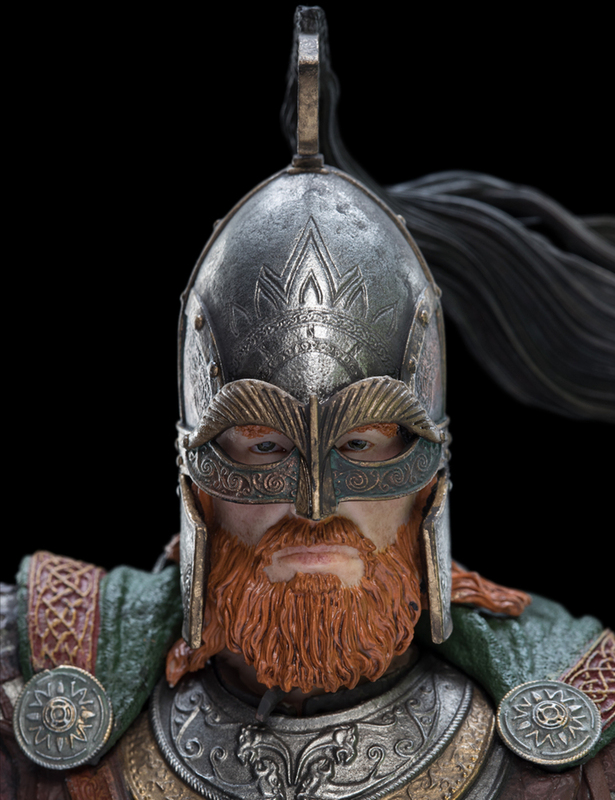 Calling upon those who dwelt upon the plains in scattered hamlets, farms and outlying villages, the kingdom of Rohan could muster a grand army of riders in times of great need, but few among the defenders bore arms every day. Farmers, herders, trade and craftsmen, most led lives of quiet, tending to their work to feed their families. 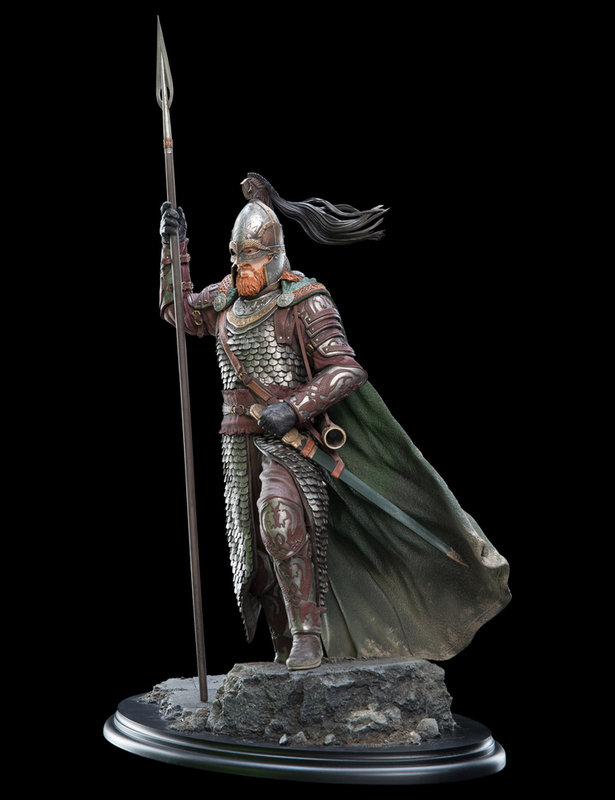 Yet even in times of peace and plenty the kings of Rohan also maintained a standing force of dedicated royal guards to protect the throne and other vital sites within the realm. 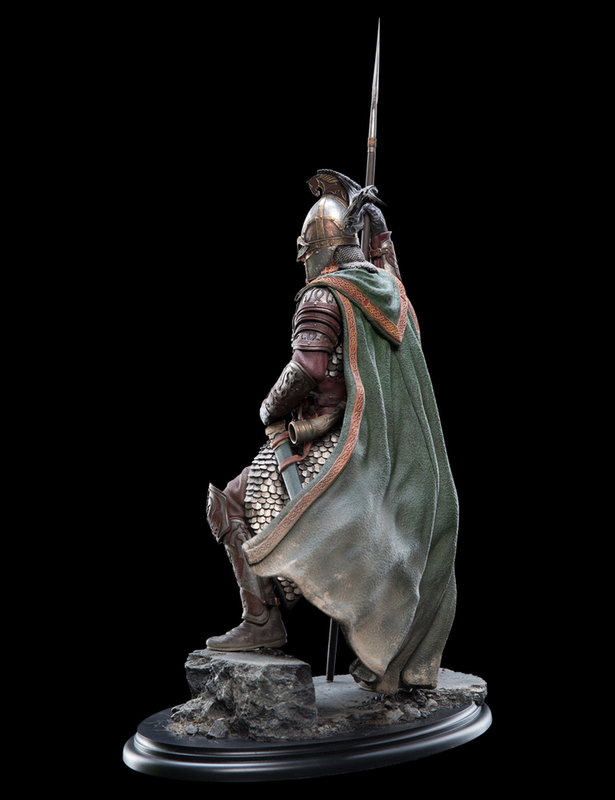 Unlike the plainsmen, who brought and cared for their own arms when called, Rohan’s royal guards were provisioned by the king and wore uniforms marking their station. 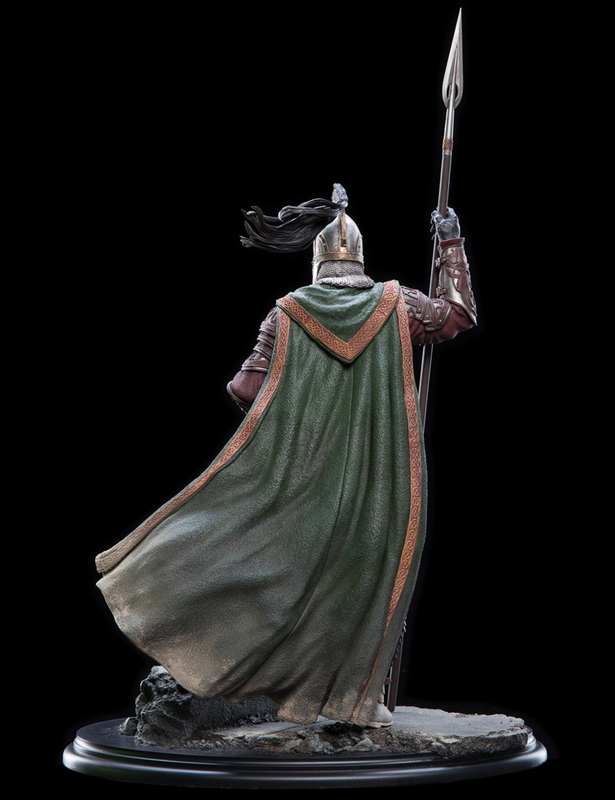 Standing at attention outside the Golden Hall, they were clad in hauberks of scaled mail, with girded swords, broad pauldrons, cloaks of royal green, and tall helms that gleamed beneath a bright sky. Sculpting collectibles is not a game of golf, it is a marathon. Turning up day after day the sculptor can meddle away at the same square centimetre all day and come in the next day only to do it all again. 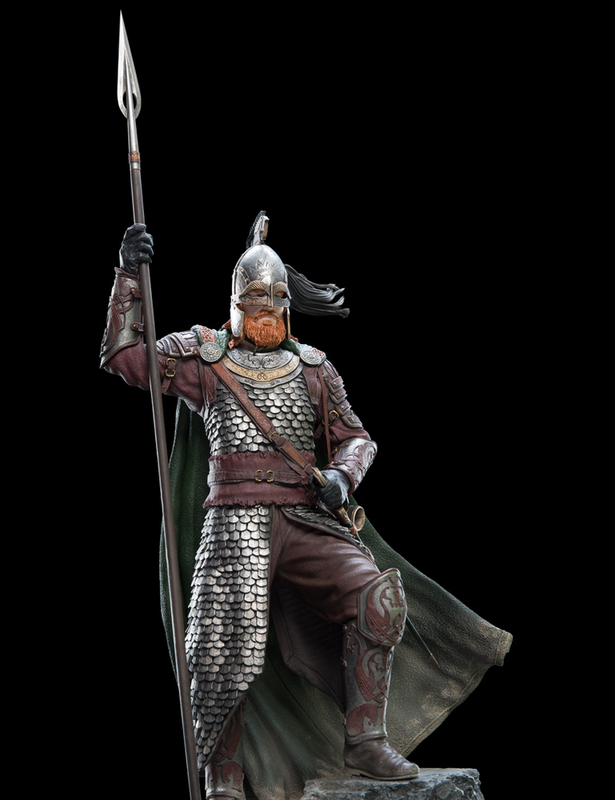 When King Théoden made for Helm’s Deep, his entire force of royal guardsmen rode with him, flanking his party with tall spears. In the Keep they set a war throne, and made ready the defences of the old stone fortress against the vast army they knew would soon come against them from Isengard. 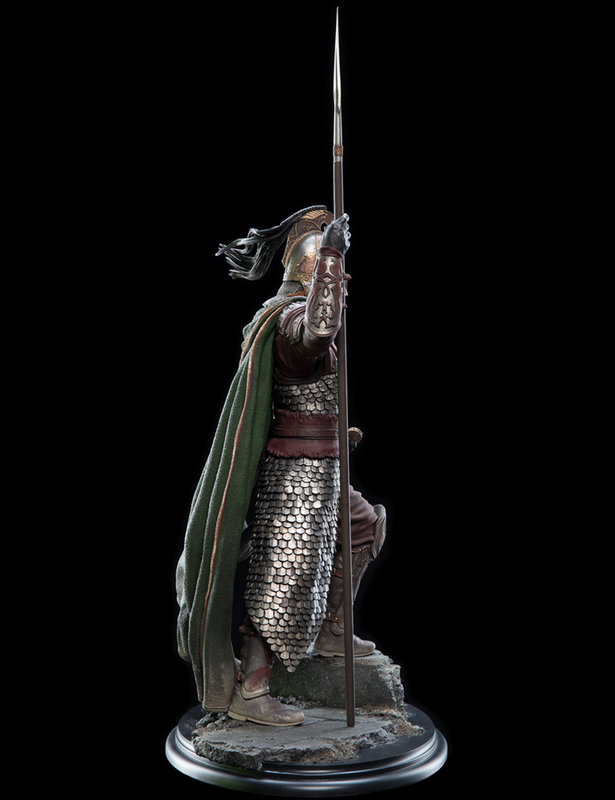 Many would perish in the battle of the Deep, but those who stood after would don helms and armour again to ride on with their king to Gondor, and in turn the Black Gate, there to mount their final last stand in the War of the Ring. 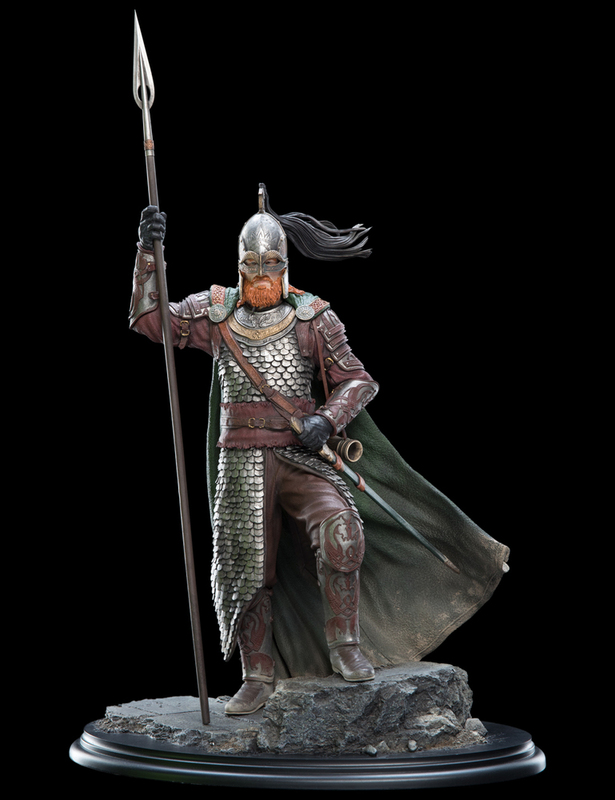 Rohan Royal Guard is brought to you by sculptor Gary Hunt, an accomplished artist who is one of Weta Workshop's longest-serving crew members, being part of the original Lord of the Rings crew. 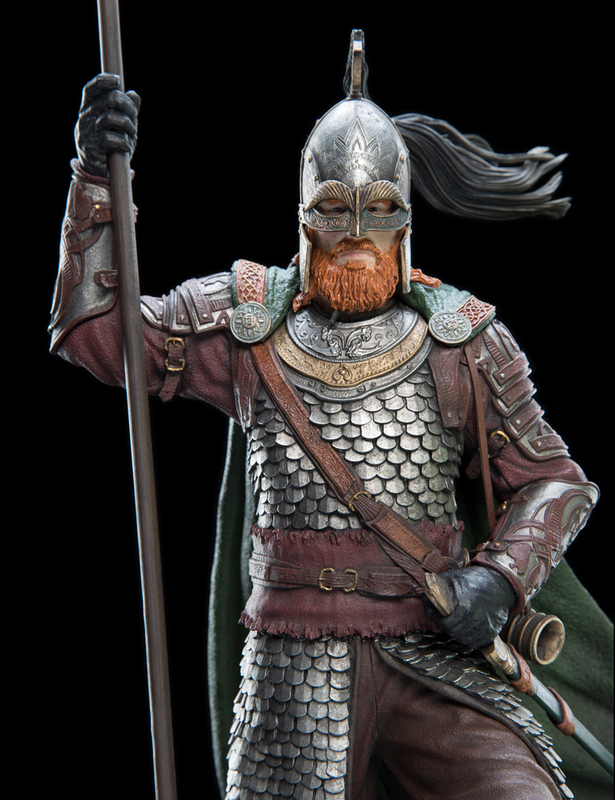 This statue is available in a Limited Edition of just 375.